AMM 2/c Lloyd E. Taylor, son of Mrs. Ethel Taylor, graduated from Frederick High School; husband of the former Jessie Mae Atkins. Entered Naval Air Corps in Oct., 1942, trained in San Diego, Cal. 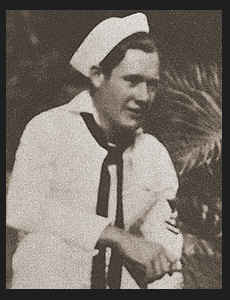 ; served in Hawaii, Munda, Tarawa, Saipan, Guadalcanal, Palmyra, the Midways, Eniwetok, Tinian; was discharged in Oct., 1945. Awarded Good Conduct Medal, Asiatic Pacific Ribbon.